Build your dream home in Hampden Twp with Fred Tiday Builders, exclusive builder. Carefree Single Homes with upscale amenities, gourmet kitchen, tile & hardwd, crown molding & panelboxing, 2 car garages & custom finishes from high $400,000. HOA provides lawn care, mulchin & snow removal. 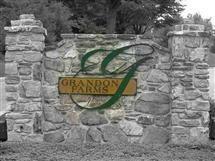 Convenient locations, walking trail & natural common areas. Plotplans, floorplans available. This is sold as a lot/house package only.